Want to find an interior designer in Orlando FL, that residents can trust to create a pet friendly space in their home? Angela Neel Interiors is here to help. We can help design a space that you and your pets will love. You can trust us to turn your home into a space where your pets can roam and you can enjoy it without having to worry about them ruining your furniture. It is worth hiring a design team, because we know all the tips to making your home look just the way you want it! The best pet friendly couches are made of sunbrella fabrics! 100% solution-dyed acrylic fabric – each individual Sunbrella fabric is color saturated from the inside out from a rich, fade resistant color that lasts even in extreme conditions. There are different types of sunbrella fabrics depending on what you would like to use it for, so if you are using this fabric for pets, a few suggestions might be sheer fabric, shadow fabric, furniture fabric, marine fabric or others. Using sunbrella fabrics have all the perks of making pet friendly couches for your pets that are are great for both indoor or outdoor use. These fabrics come in all types of designs and you can purchase them online, by the yard, and at certain stores for great prices. These fabrics would be just right for making pet friendly couches! Angela Neel Interiors is here to help you pick the right fabrics and make your space into a pet friendly home. You can count on us to help you decide on a design that will make you and your pets happy. Creating pet friendly couches with sunbrella fabric will be life changing for the whole family. Cleaning your furniture has never been easier and the comfortable fabric will looks chic and elegant in a space! 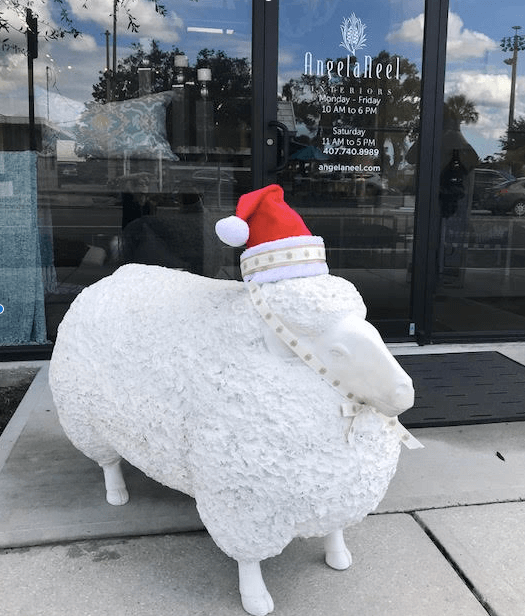 Searching for an interior designer that an Orlando FL resident can trust, may feel like a never ending battle, but with Angela Neel Interiors, you will see that our team is full of professionals who can make your dreams come true and turn your home to a pet friendly space in no time. We work with our clients very closely to ensure all design needs are met and we make sure all needs are met before a project is completed. Looking for an Interior Designer that Orlando FL locals recommend? Angela Neel Interiors has the projects, fabrics, and answers you have been searching for. If it is pet friendly couches you want, that is what we will help design for you. Contact us. Give us a call 407-740-8989 and set up an appointment to meet with us today!